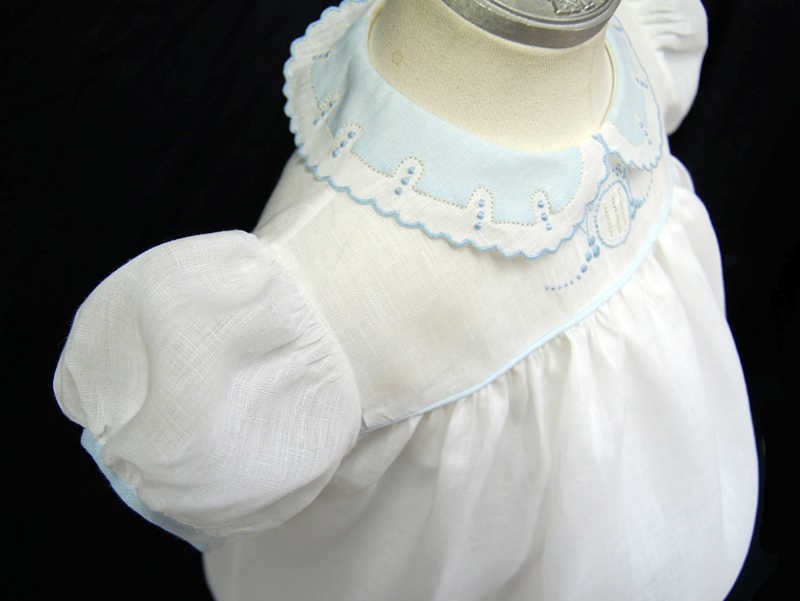 This little dress is created using a vintage baby dress from my vast and ever-growing collection of vintage baby clothes. The original was made of broadcloth, as most of the dresses from the 50s, but I chose to make it from linen. 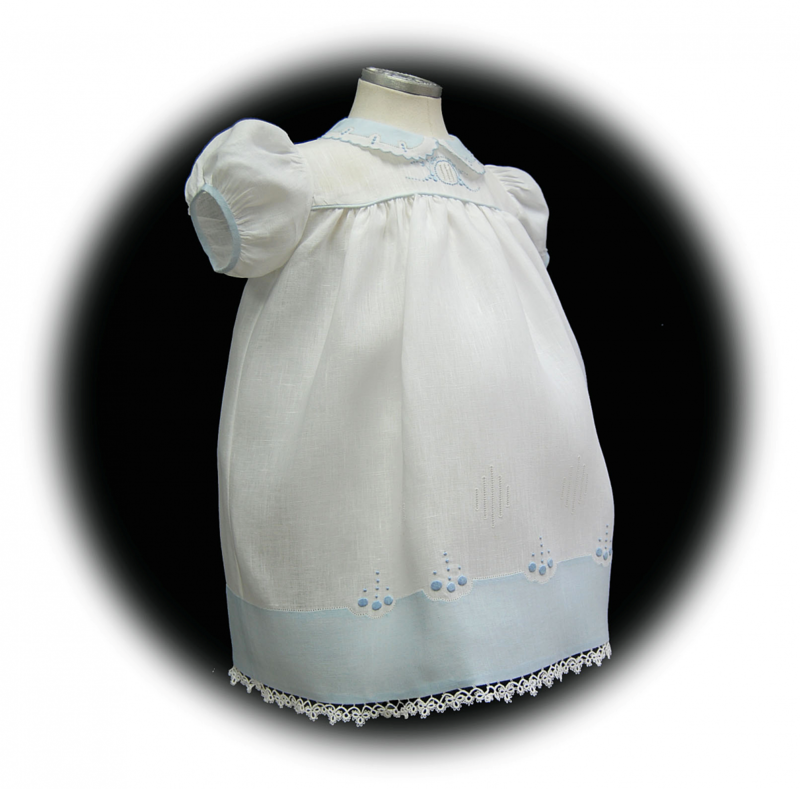 The project features Madeira Applique, Granitos, Drawn-thread, Buttonhole scalloped edging, and Satin Dots. I will cover all these stitches in my upcoming posts. Have you ever wondered how some sewists are able to attach tatting to a garment without having the header showing? I know I did until I figured out how to remove the chain-stitched header entirely. The technique I’m referring to pertains to tatting that has a chain-stitched header. The very narrow tatting has a thread that trails from one loop to the next. If you cut that header, the tatting will come apart, so choose carefully. If you make your own tatting (jealous me! ), just leave the header off. You can often find handmade tatting on ebay and those usually never have a header. Finding vintage well-made tatting is certainly like finding hidden treasure so scoop it up for your stash. Most of the tatting I use is made in China and it is very good quality and is available in many styles and widths. It is cost effective but only available in white or ecru. Oh how I wish I had learned to tat from my grandmother, who sat on her porch and needle tatted all afternoon while rocking in her favorite chair.